Naomi and Hannah were fantastic in their audition and thoroughly deserved to go through to the next stage. I see their Facebook page likes have shot up from 267 to 380 overnight! I was sure they'd gone through from the moment they started talking about The Voice on Facebook. The auditions were recorded a few weeks ago and the girls were sworn to secrecy, but they weren't able to hide their excitement. I don't think they need much coaching to do really well in the competition, and this will be their big break whatever the final result! 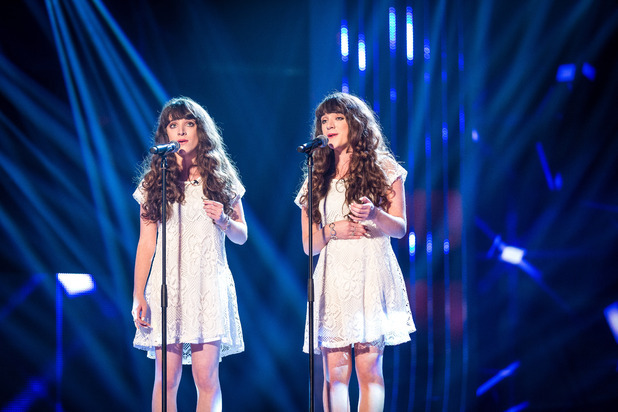 The Voice UK's mirror twins Naomi and Hannah Moxon - also known as Classical Reflection - have revealed that one of their biggest dreams is to appear on Songs of Praise. The duo joined Team Ricky in the latest episode of the show and have now told Digital Spy that their goals include recording an album and singing at the Royal Albert Hall. "Another funny dream of ours is performing on Songs of Praise," Naomi said. "We know it seems a really strange goal." Hannah added: "When we were little we used to watch the bit where they had a singer on and we used to watch that section and think, 'Wow, that would be lovely'." "We would really admire them, so I think that is something we've always wanted to do," Naomi explained. "It's a strange goal but we would love to do that." The duo currently teach children singing, but explained that they would love to make Classical Reflection a full time career. However, Naomi said: "I think there'll always be room to teach children. We'll definitely make time for that. I think it's very important." Classical Reflection - who admitted that they were "pleased" but "shocked" to get a turn from "lovely" Ricky Wilson - also admitted that they aren't always as "angelic" as host Emma Willis suggested. "We definitely get angry at some things," Naomi confessed. "One of our pet hates is bad drivers! But we don't put on any act - how we are on TV is how we are in real life. I think singing makes us happy and maybe that's why we seem extra happy!" They also confessed to arguing with each other "just like normal sisters", as Naomi said: "There are loads of things that we get cross at each other for. I think people always think we get on all the time - it's just not true at all. We argue quite a bit sometimes. It's probably because we're so alike - that's why we argue." However, Hannah added: "Our arguments end quite quickly - we never ever hold grudges or anything like that. It will be quite short lived. But we never really say sorry to each other - it just blows over and we forget about it. We never actually ever apologise!" The duo admitted that they feel "very exposed" if they are asked to sing on their own and also revealed that people begin to be able to tell them apart with the passage of time. "People say that over time they can't tell what they can tell the difference with, but they just can," Hannah said. "But we wear our bracelets on our writing hands, so Naomi will wear hers on the left and I will wear mine on the right. I think when people are just looking at us that's how a lot of them tell us apart, so we always wear our bracelets." Classical Reflection also admitted that they don't get annoyed with people's fascination with mirror twins, though Hannah admitted that they sometimes forget they're unusual. "If we're walking in town or something we see people staring and we forget that's why they're staring!" she joked. "We think, 'Why are they staring?' Then we realise it's probably because we look the same. It was really nice that Will and Rita were interested because obviously it is something a bit different." Naomi added: "We're fascinated by other identical twins - whenever we see any other twins out we always want to have a chat with them. We get really, really fascinated too so we can see the interest." After their blind audition, the twins had to prepare for the battles, though Naomi admitted: "We're not super competitive people - we're not going, 'We're going to take you down!'" "Everyone who's got to this stage is a winner in their own right," Hannah added. "We were going into the battle being positive but also thinking regardless of what happens, it's such an amazing opportunity and platform. "We definitely admire all of the other singers in the competition as well. We were very open about what was going to happen. We weren't pinning all our hopes on that one battle because I think that also would put too much pressure on us – we just wanted to enjoy it really and not worry about the outcome." Naomi and Hannah have also recorded a special performance of "Hallelujah" in the OBA Live studio. This is exquisite! Now that really is a lovely version of Leonard Cohen's masterpiece. I am sure Leonard would find this video fascinating. Naomi and Hannah could certainly give the Webb sisters a run for their money. Charley and Hattie Webb were Leonard's backing singers on tour for the last few years. It is a pity they chose Nella Fantasia. That song always annoys me because they sing it in Italian when there is a far superior Morricone approved English lyric available. Thanks, I enjoyed that very much, and I'm so glad they made it. It's interesting to see Will.i.am on the show. He's been a guest mentor on American Idol before. I've decided not to watch that anymore, though. Last year was too aggravationg for me, with the producers' and judges blatant dislike for a certain contestant. No matter what she would sing, they would rarely find anything nice to say about her, even though she was quite good. Later she revealed that part of the problem was restrictions on song choices, as if they were purposely making it hard for her to choose songs that actually suited her. Anyway, whenever I like a singer on the show, they rarely win, and lucky if they ever make a CD. I think this girl is going to, though. But one girl from a couple seasons ago, named Erica Van Pelt, had a really nice rich, deep tone, but she only came in 9th, and so I don't think there's much music from her. Disappointing. So, I just decided that watching the weeks of auditions is a waste of time, since so many that I like never end up on the show anyway. It's rarely worth the effort to get excited about a singer and try to vote for them a bunch, and then have it all be a waste. And that I can't stand the judges, Jennifer Lopez in particular. Keith Urban is probably the nicest, most reasonable judge they've ever had on the show, but sometimes even he irks me. The combination of the 3 just isn't my favorite. Not that Nicki Minaj and Mariah Carey were! Ugh, Mariah Carey irritated me even more than Nicki did, surprisingly. Martin, there's nothing irritating about Nella Fantasia. It's quite a beautiful, dreamy sort of song. Yes, Hayley's song is our favorite, but it's nowhere near as well-known as Nella Fantasia, unfortunately. You know how these reality shows tend to encourage them to sing the same old songs. It won't surprise me a bit if the girls sing Pie Jesu somewhere along the line; in fact, I'll be surprised if they don't. Anyway, just because Sarah Brightman had to irritate Morricone to death to get the song written, doesn't make it a bad version of the song. I listen to Sarah's recording quite often, and I absolutely love it. The same thing is true with Hayley's Malena vs. Josh Groban's You're Still You, which is set to the same tune. They are both wonderful in their own way, that I can't choose which one I like better. Malena is so beautiful and magical, with excellent, poetic lyrics by Hayley. You're Still You is very uplifting, and his voice so soothing. It doesn't even have to be thought of as a love song; it was written by a woman for her daughter, so it can go both ways. I know most of you here would prefer Hayley's over Josh's song, and I wouldn't blame you. However, being female probably has a lot to do with it. Josh just has a way of making a girl swoon a bit inside. I don't know if guys/men swoon or not, but I tend to wonder if Hayley has the same affect on men or not. Her voice is beautiful and superb, but I'm not sure if I would say Hayley has the power to make someone swoon. Next up were identical twins Hannah and Naomi aka Classical Reflection. They sounded warm and friendly during their VT and I am praying they do well. Oh wow. I am a huge fan of classical music. Within 20 seconds my chair was turned. This is beautiful, absolutely beautiful. A real goosebumps moment for me and who is cutting onions? A stunning world class audition. 10/10. That’s four places filled on Team Ricky, I mean Midas. Classical Twins also join my mate Ricky. Click on the Tellymix link to see the full review of the show. Again it's a very appropriate title! Well, if they do I hope it is the Pie Jesu from Faure's Requiem rather than the ALW one! I'm sure the girls would do a great job on it. I love Rebecca Newman's version of this too. What's wrong with the ALW one? I've never even heard of another one. Only that everybody seems to sing the ALW one. It is overdone in my opinion, like Amazing Grace. A few classical crossover singers have recorded this, including Camilla Kerslake. Talented twins Hannah and Naomi Moxon were so focused on their performance during BBC’s The Voice they did not notice pop star Ricky Wilson turn for them. The pair, called Classical Reflection, of Longthorpe, Peterborough, had to watch a rerun of Saturday’s show to discover how they had made it through the first nerve-racking stage. Hannah (19) said: “We didn’t notice that Ricky had turned until we’d finished singing. We were singing Nella Fantasia. It’s our favourite and we’ve performed it many times and thought we wouldn’t forget the words if we got too nervous. Ricky, lead singer for hit group the Kaiser Chiefs, confessed that although he had turned for the pair he didn’t really know what he was going to do with them for the next round. 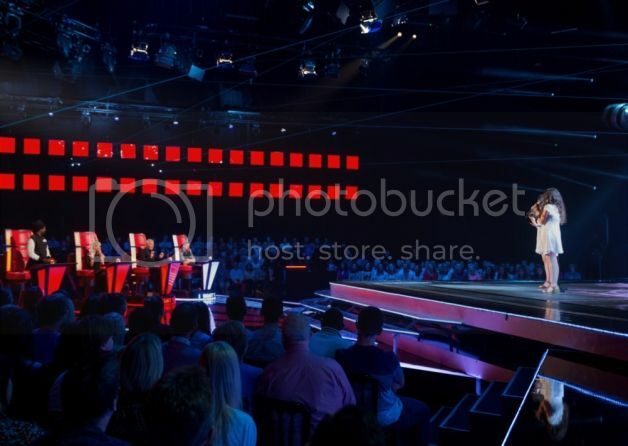 On The Voice, contestants sing for four judges who sit with their backs to the performers. The judges turn if they hear a singer they wish to mentor. The other judges are pop legend Sir Tom Jones, singer and actress Rita Ora and rapper Will.i.am. The identical twins will appear in the Battle stage in the next few weeks when they sing against a rival contestant. 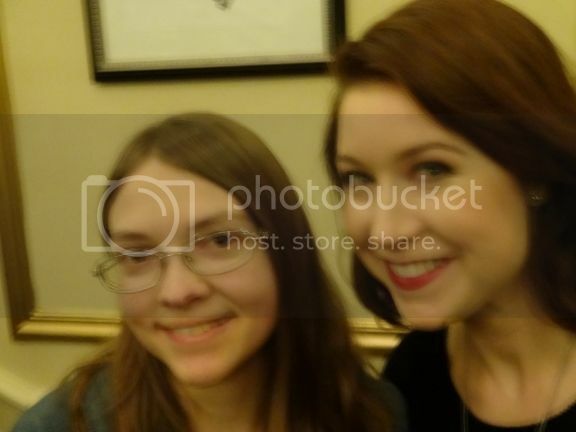 Hannah said: “It was all a bit of a blur. We were just focused on our singing. “It was a shock to find that Ricky had turned for us. “I was almost crying but Naomi looked at me and I stopped - we’d agreed that we just would not cry. “Getting chosen was overwhelming - it was a really amazing feeling. “We are really excited about the next stage although we are not very competitive people. The pair say that since their performance was aired, they have been inundated with calls and comments on social media outlets Twitter and Facebook congratulating them and wishing them well. Naomi said: “We just want to thank everyone for the lovely things they have bene saying. The girls have said one of their ambitions is to perform at the Royal Albert Hall. I think they would be perfect for the Festival of Remembrance, and perhaps Christopher Broom could write a suitable song for them. ProBoards have tweaked the automatic embedding so the captions now appear. Richard, who do you think will get further in the competition, Classical Reflection or Lucy O'Byrne ? I wonder what Comet thinks of the girl from Dublin ? I do remember Lucy being put out of the competition by Kian, I was so disappointed for her. This is a competition to get a new pop singer who can sell millions of units for a record company. I suppose this post should be in "The Voice" thread. The music industry is on it's knees. In one of the worlds major markets over 90% of recorded music that changes hands does so on illegally copied discs and media. The artist gets nothing from it.